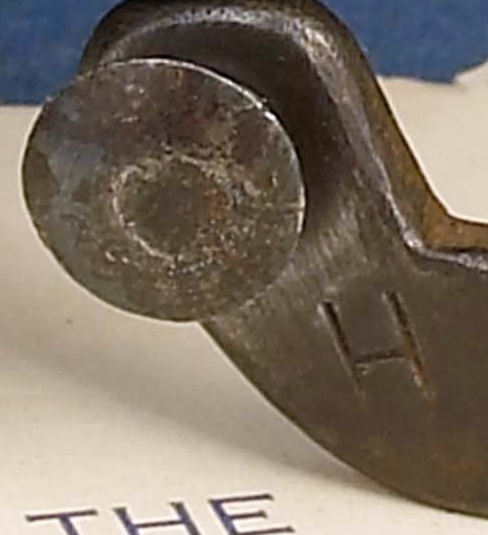 Hulbert typically marked his work with either “EH” or just “H” engraved into the metal near the button. 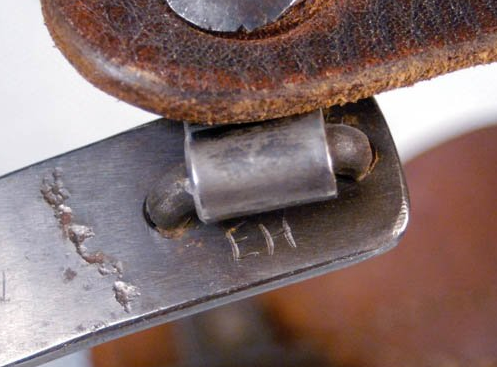 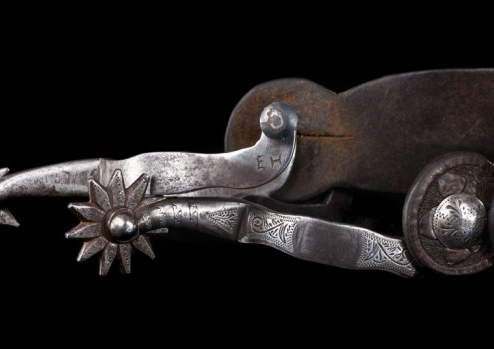 His marks typically look crude and so you have to be careful of fakes where someone has simply added a mark to spurs. 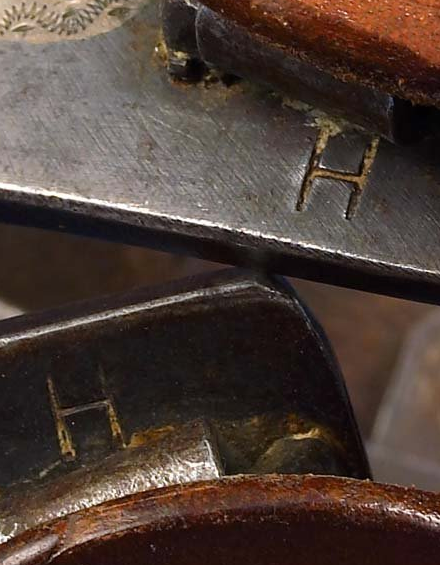 For this reason it’s important to have some documentation or provenance, or have the spurs be of a subject matter that aligns with what we know of Hulbert, such as the Valley Ranch or similar ranches that he produced work for.